My latest pregnancy craving? Mandarins. 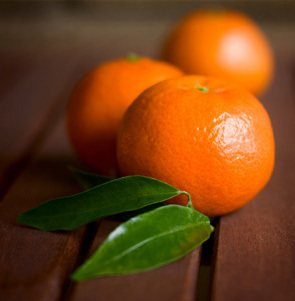 Pros: Sweet, seedless, easy-peel ‘Satsuma’ mandarins are in season! I can buy them on my way home from a roadside stall near here for just $3/kg. They are divine. I could eat a whole bag in one go. Mum’s tree is also laden – she filled up my fruit bowl with even more mandarins this weekend. Cons: Fresh citrus gives me chronic heartburn at the moment. I only have to look at a mandarin and my chest hurts. I’m chewing through antacid tablets almost as quickly as I’m chewing through the citrus. Ah well, not too many days to go now! I can totally sympathise with you Lynda, my daughter was born in June and I had major cravings for oranges when I was pregnant with her, alas I also had major heartburn, but as you say, there can’t be many more days to go now and I can hardly believe that my baby girl will be 8, going on 13 mind you ;), next month. I hope you’ve found some time and energy to get the nursery ready. All the very best for the coming weeks. ….warm fuzzies for your new baby to arrive soon Lyndia and hubby.With our oldest boy (8 years old) it was citrus for me and boy oh boy did I have to eat the antiacid tablets – did think may have more harm with the antiacid tablets for bubs at the time with the heartburn! We now thinking about our garden, being demolished with bricks all around it from our house and block walls from boundary fence crashing onto lawn and our front garden from Feb earthquake. BUT keep reading your column and now back in our house with temporary repairs done to it, can only think of what will be with new home and garden to create. Cheers for wonderful reading. Mandarins would be much easier to resist if they weren’t so wonderfully sweet at this time of the year. Shame they don’t go so well with peppermint-flavoured antacids though! My heart(burn) goes out to you dealing with the quake aftermath – I hope the temporary repairs keep the winter cold out. Good luck with the new garden too. Plant some bulbs for spring – it’s about the only thing you can do for a bit of seasonal cheer to look forward to later. Haven’t *quite* sorted the nursery. We have a very small house (80sqm) so the cot is going in our office while the bassinet is in the bedroom. We figure we have the months between birth and our baby learning to crawl to sort out a solution! Hi my goodness shouldn’t you just be lying around? You are so inspiring if only this rain would stop and I could get out to my own garden and plant the seedlings that have been sitting on the back doorstep for the last week or so. Lynda, it is the acid in the fruit causing you trouble and you don’t have to be pregnant for it to happen!! Both of my daughters were born in June. My eldest ( now coming up 45!, was born on the 14th and my youngest turned 39years old yesterday. (she is disabled). Fish, Milk powder!, and Pumpkin !! Quite wierd really how our bodies tell us “we need it”. All the best from Sunny Gisborne. Hi Lynda, Just wondering if your wee man had arrived safely, — and have you been freed of your heartburn? All the best for your busy days ahead.